Cleveland, Mississippi – Waxsaw Records, Inc., a rock and alternative music record label based in Cleveland, Mississippi, announces the second CD release of the Mississippi Delta based rock band, Linwood. The band's second album is entitled, Just Seconds Before. Linwood principals are Bo Lindsey and Scott Coopwood, with musical support from Barry Bays (bass), and Rick Shelton (drums). Linwood's, first album, Burn Effect, was released on April 1, 2008 in the U.S., Canada, England, and Ireland. Linwood's second CD, Just Seconds Before, was produced by Scott Coopwood, Linwood guitarist and co-produced by Memphian and Ardent Recording Studios engineer/producer, Mike Wilson. Music is what brought Lindsey and Coopwood together — almost 15 years ago while both were taking the medical school entrance exam. "Between sections of the exam, Scott and I would visit and somehow we started talking about music and that was the day when all of this started," says Lindsey. The two began writing songs together for their debut CD in 2006 and after 22 songs had been recorded at Coopwood's studio, demo CDs were sent out to 25 friends along with a form in which Lindsey and Coopwood asked their friends to rank each song. When the forms were returned, the two re-cut 12 of the best rated songs at Coopwood's studio with Coopwood producing. They mixed their debut album, Burn Effect at the famed Ardent Recording Studios in Memphis with engineer/producer, Jason Latshaw, in 2006. After Burn Effect was released worldwide, Lindsey and Coopwood moved right into writing songs for their follow-up CD. "We literally wrote and worked on this second album for two years," Coopwood says of Just Seconds Before. "Sometimes we worked a solid month and then we would not see each other for two months because we were both so busy. Then, we would go at it again. I think those down periods helped us be objective this time around in our writing and it forced us to be totally honest with ourselves as to what material was good and what was not. When you are in the middle of songwriting day in and day out, sometimes you just can't be that objective. However, when you have the time to step back and not listen to the material for a couple of months, you approach that second round of listening with fresh ears and that opportunity allows you to make some good choices in regard to material — what you should keep working on and move forward with, and what you should leave behind and forget about." 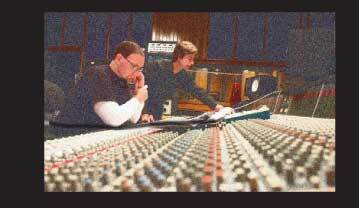 Linwood again returned to Ardent Recording Studios in Memphis for work on their second CD. Smaller sessions took place at Wilson's home studio, Audio Garden, in Memphis and Coopwood's home studio in Cleveland, Mississippi. "We started working on demos with Mike not long after our debut CD was released," says Coopwood. "Days turned into weeks and weeks turned into months working and recording song demos with Mike and things clicked so well that Bo and I decided to not let anyone else enter the project and that was a great choice. Mike is super creative and one of the easiest guys in the world to be with. That goes a long way in the studio where tensions and creative differences can run very high!" Just Seconds Before is available for purchase through iTunes, CD Baby, and other electronic means including the band's website www.linwoodmusic.net and www.waxsawrecords.com. CDs are available also in music stores around the U.S. A listing of the stores that will carry the CD can be found on Linwood's website. "Our plans are to push the album in the larger cities around the U.S., Canada, and in Europe first, just as we did with our first album," says Lindsey. "Then we'll look at other markets." For more information and interviews, contact Scott Coopwood at Waxsaw Records.